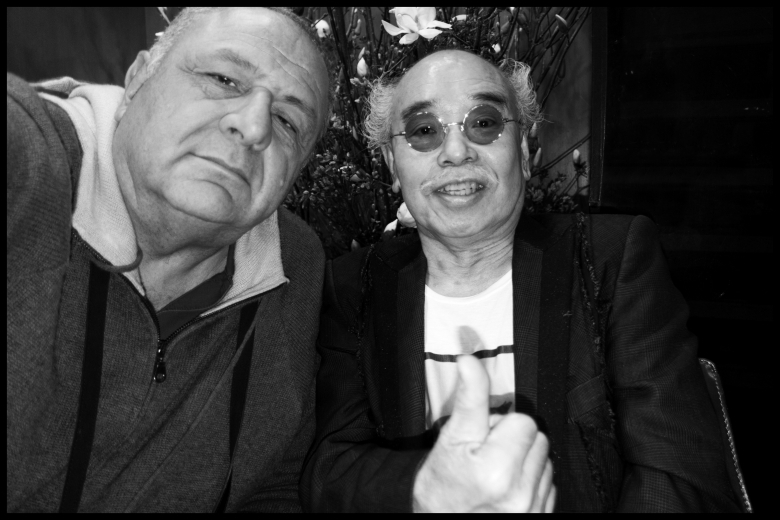 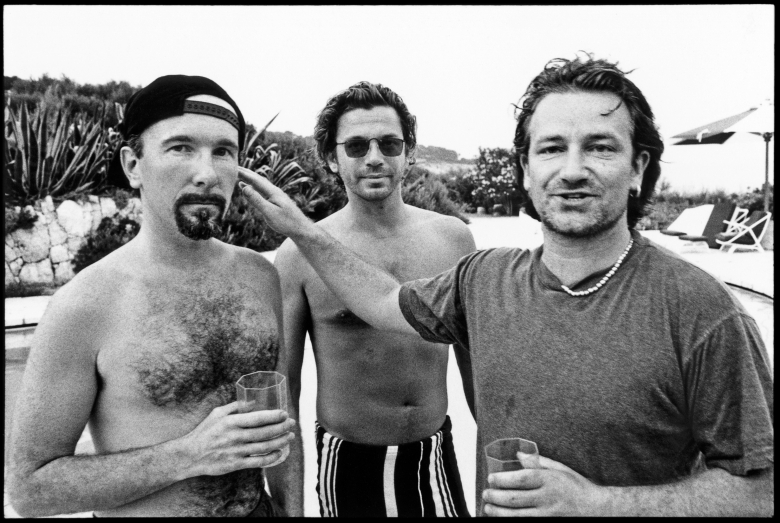 On June 21st we open an intimate exhibition – this time by French/Italian photographer, investor, and art collector, Jean Pigozzi. 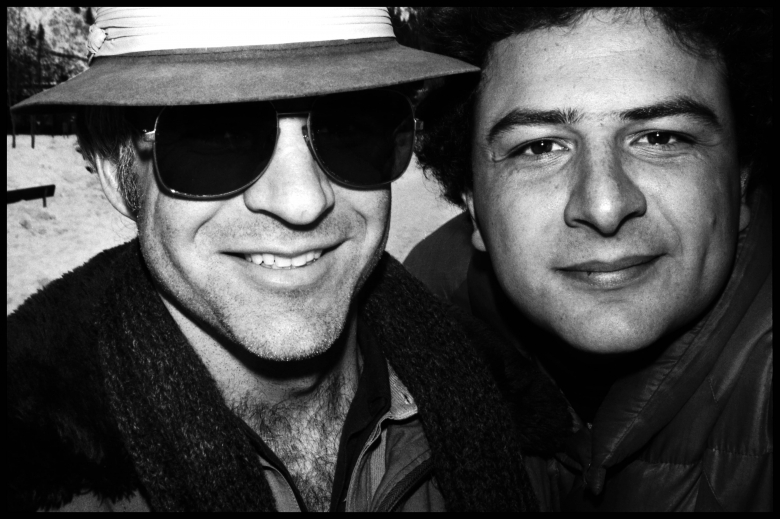 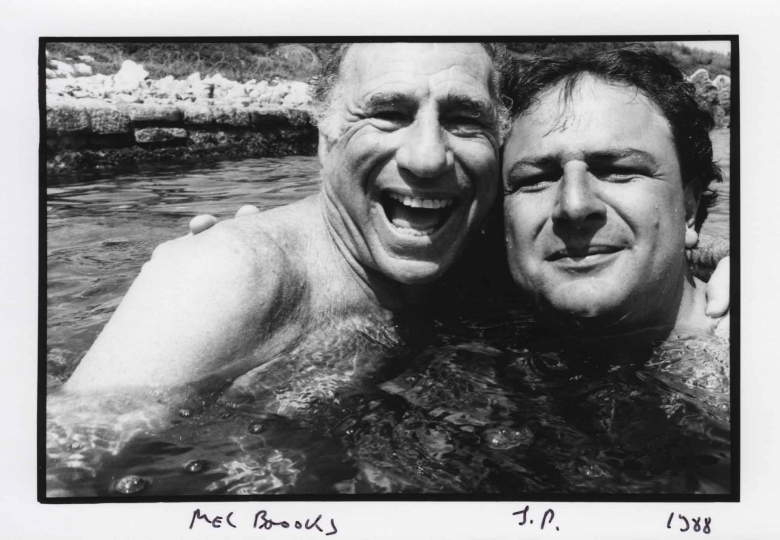 With around 40 small-format, mostly black-and-white images, this show will feature the best of Pigozzi’s famed series Pool Party as well as his latest series ME & CO, a cultural chronicle that the “unofficial creator of the selfie” started in 1974 and has been working on to this day. 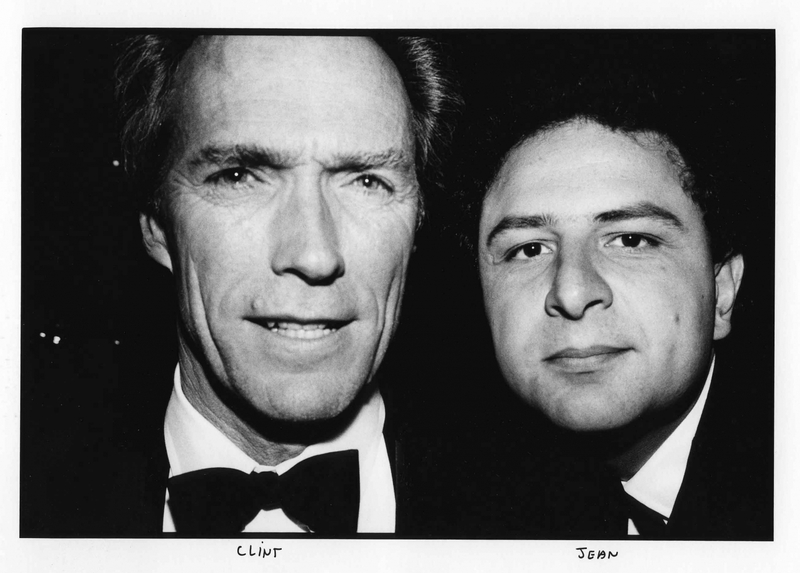 It all began at a party at Harvard University in 1973, when Jean, son of Henri Pigozzi, founder of the Simca car company, took his first “double portrait” of Faye Dunaway. 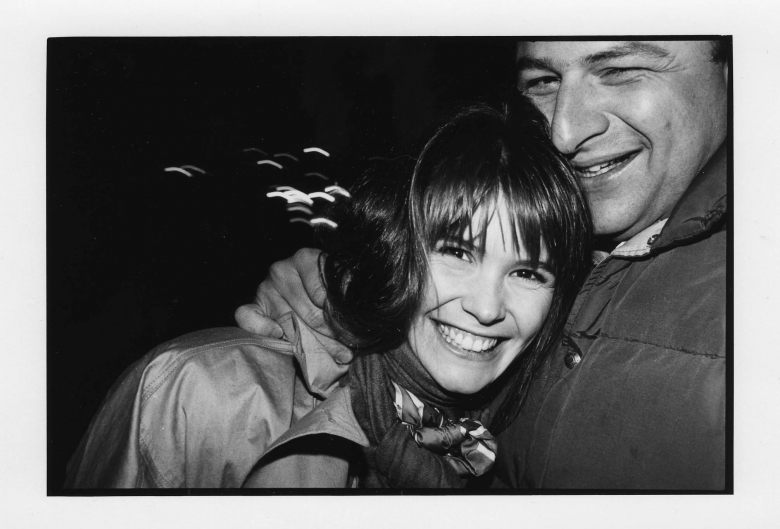 Casually approaching the young actress, the student reached out with his camera in hand, briefly asked permission, and in a click captured the image that launched a life-long passion project. 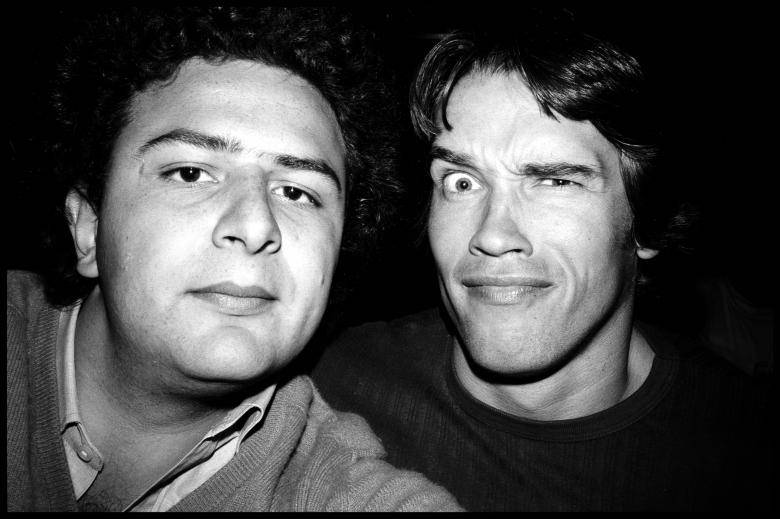 Back then, taking selfies was “kind of odd” and “different,” but soon it seemed that everyone who was anyone posed with this young photographer. 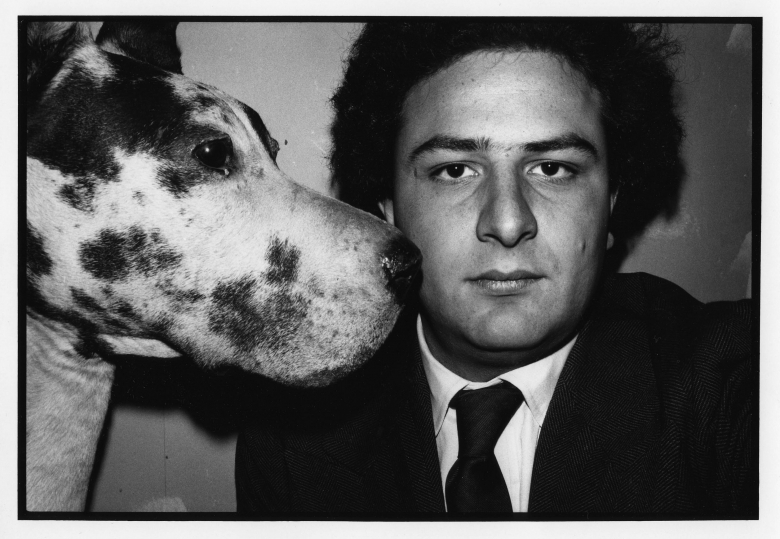 Pigozzi studied at Harvard, was inspired by Robert Frank, and spent his free time in New York City at the parties of the rich and beautiful. 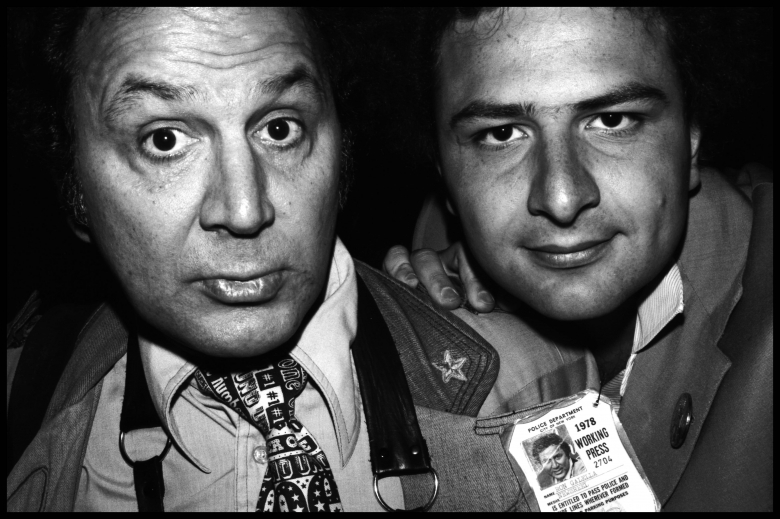 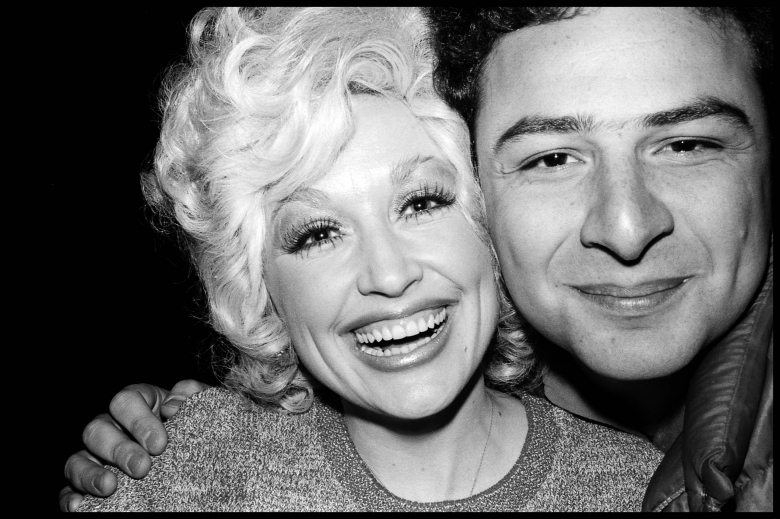 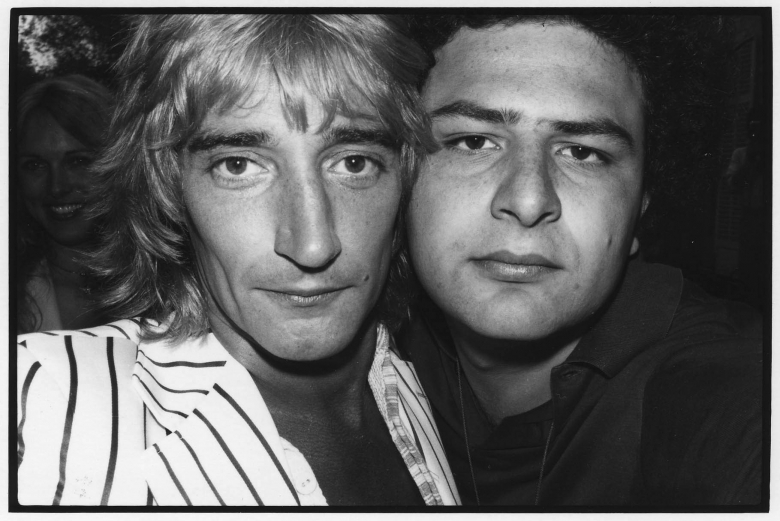 Here he captured himself on film alongside actors such as Steve Martin, John Belushi, Julie Christie, Arnold Schwarzenegger, and Sylvester Stallone, or musicians such as Art Garfunkel, Grace Jones, Rod Stewart, and Bono. 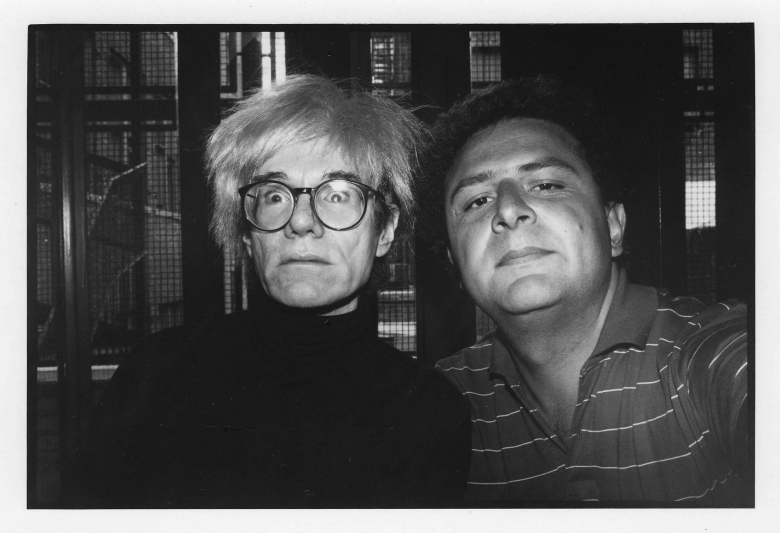 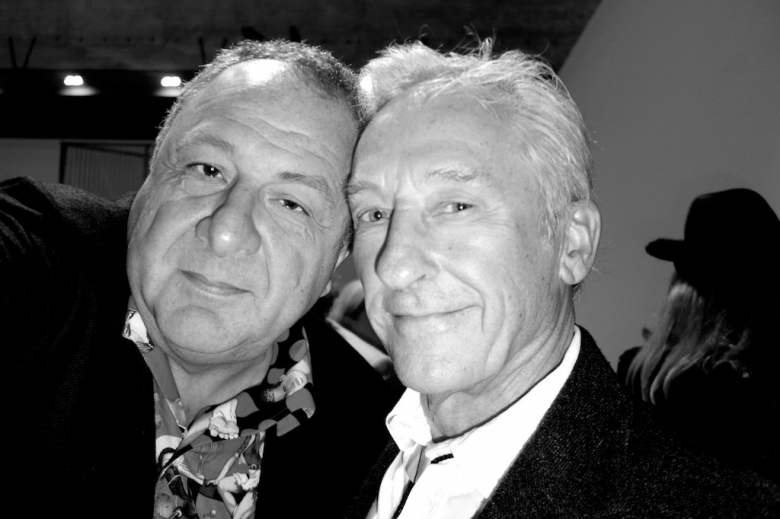 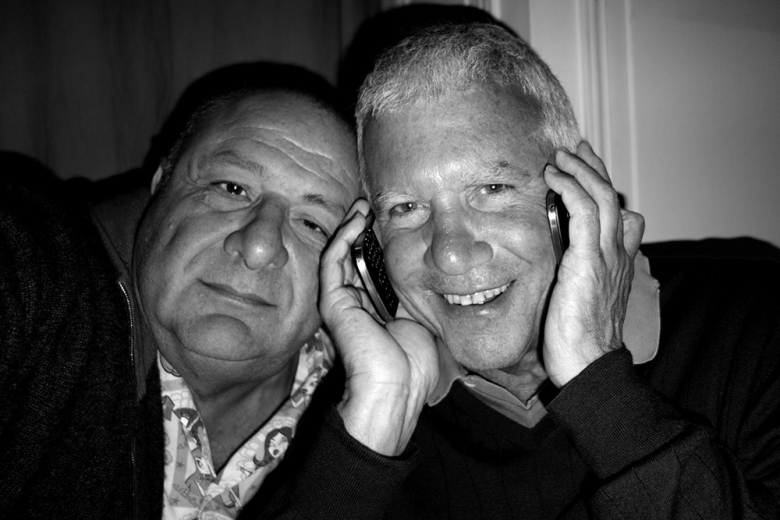 Over the years, Pigozzi found selfie-subjects in art legends Andy Warhol and Ed Ruscha, power gallerist Larry Gagosian, provocative art personalities such as Ai Weiwei and Maurizio Cattelan, and many notable women, including Catherine Deneuve, Daphne Guinness, Lady Gaga, Sarah Jessica Parker, Elle Mapherson, and Cate Blanchett. 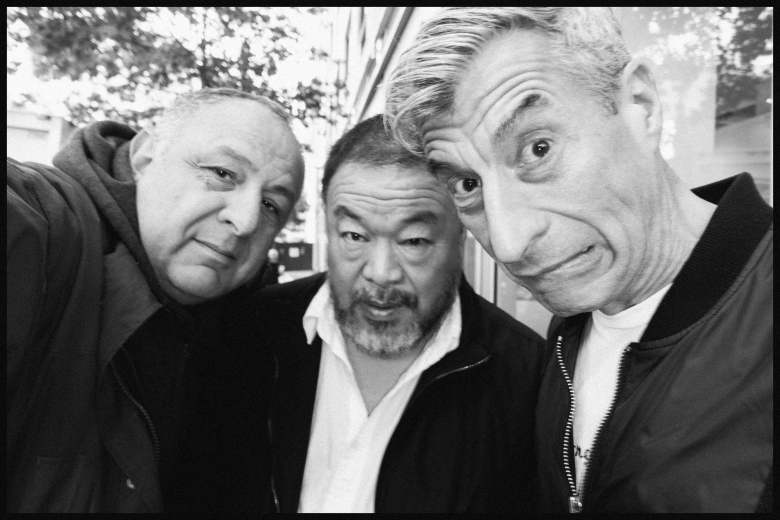 With Pigozzi’s signature method of using his “long arm, a wide angle lens, flash-light and to be very fast,” no one was out of reach and quickly became part of Pigozzi’s visual diary. 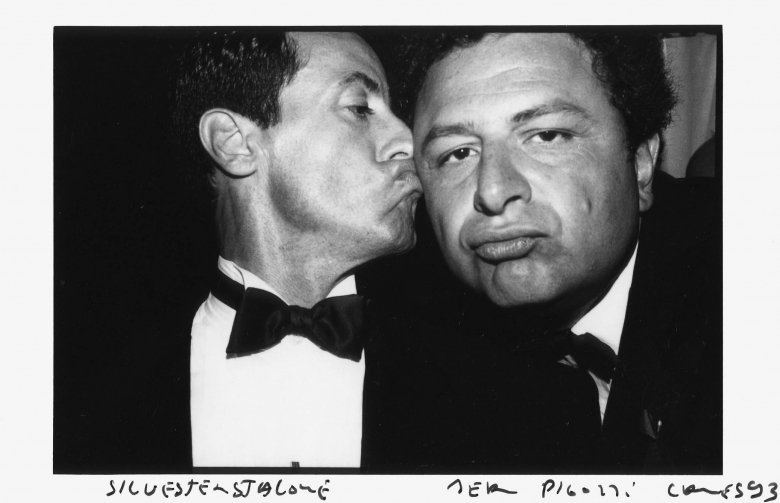 According to Pigozzi, he “never tried to do pretty pictures” and, in contrast to the paparazzi, he enjoyed access to exclusive events, becoming part of the it-crowd at a relatively young age. 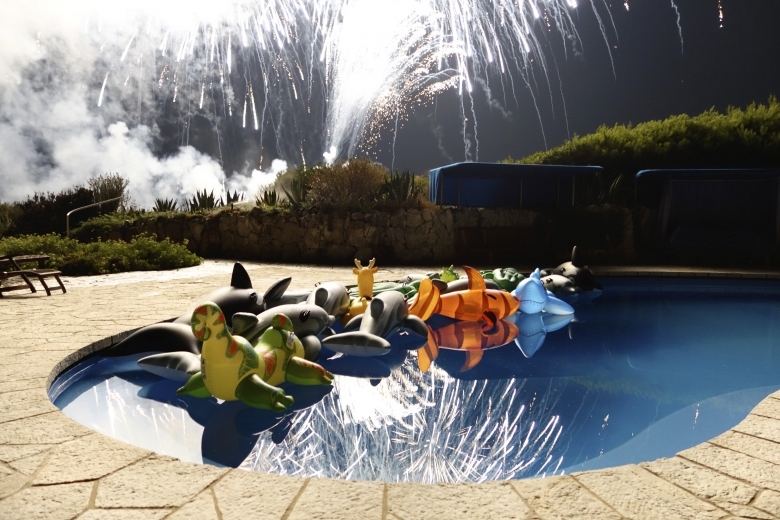 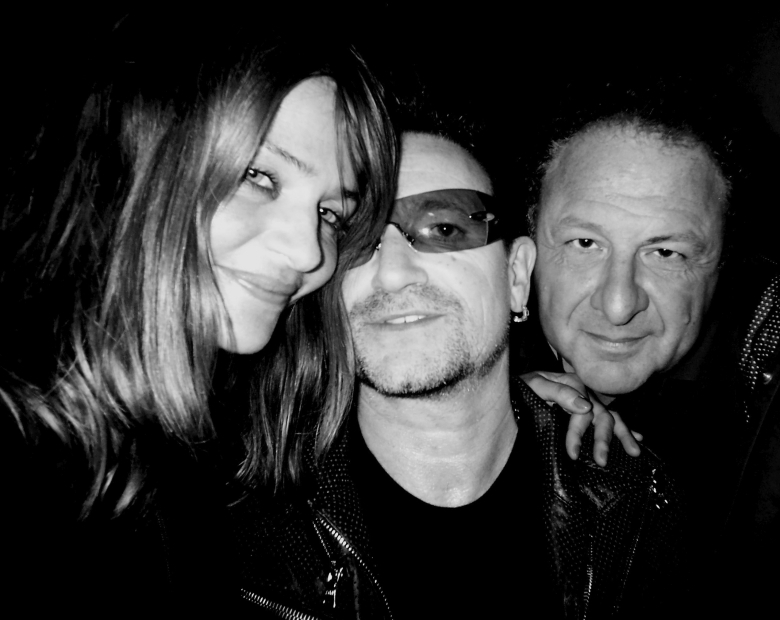 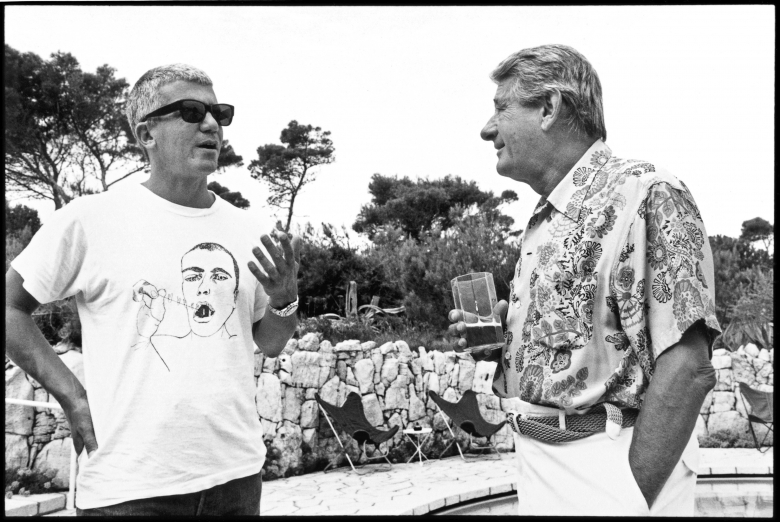 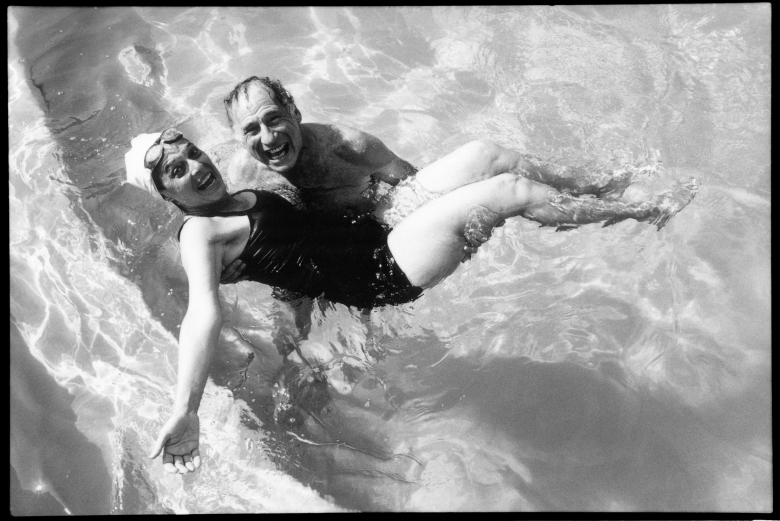 His second series, “Pool Party,” shown at the Helmut Newton Foundation in summer 2017, is another brilliant example of the high-profile circle of friends that Jean Pigozzi calls his own. 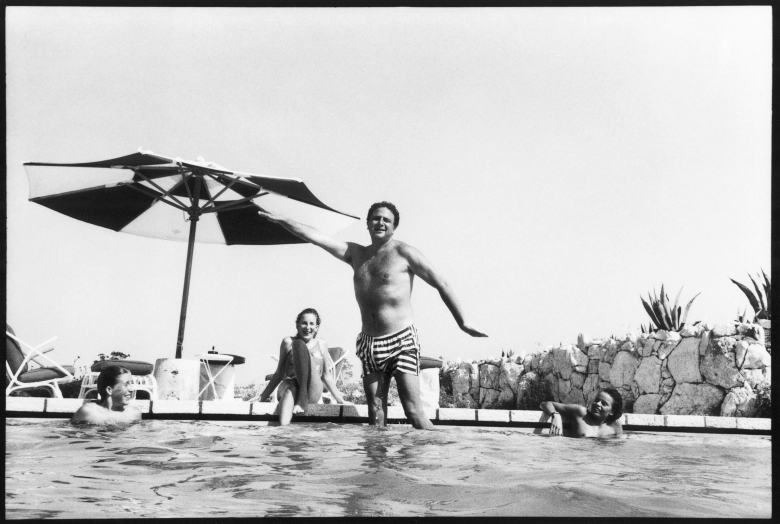 We encounter spontaneous, surprising, and refreshing snapshots taken during his legendary summer parties, traditionally held between June and September at Villa Dorane in Cap d’Antibes in southern France. 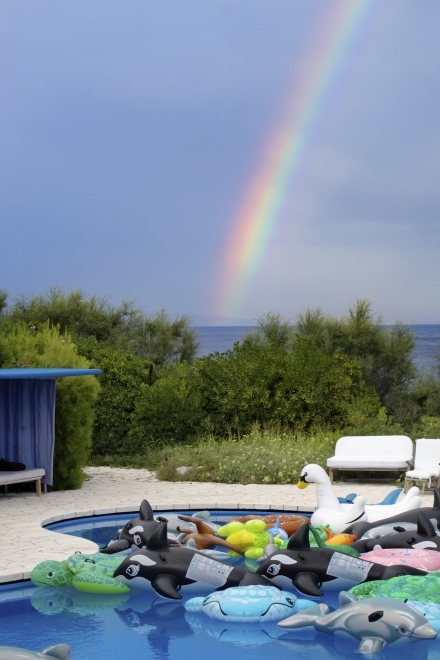 The residence was built for Pigozzi’s father in 1953 by Ettore Sottass and is a favorite get-away between his homes in New York, London, Paris, Geneva, and Panama. 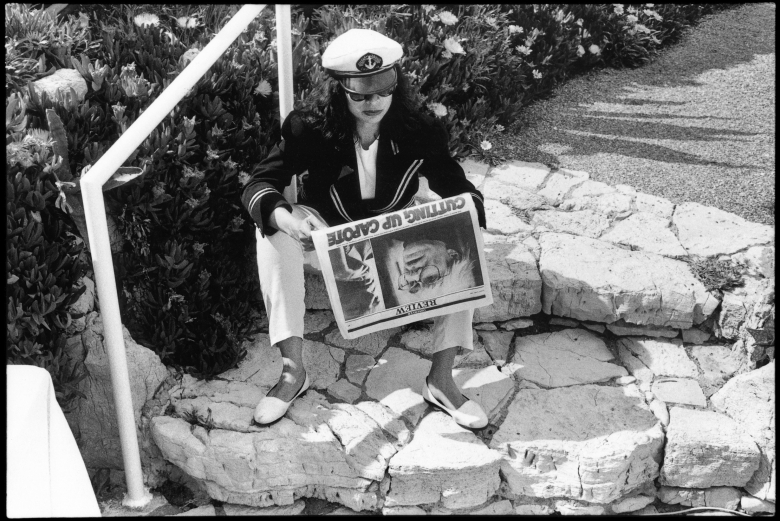 The pictured gatherings of the international jet set have the relaxed atmosphere of a casual gettogether – frequented by the likes of Mick Jagger, Naomi Campbell, Bianca Jagger, Nicolas Ghesquière, Liz Taylor, Mel Brooks, Helmut Newton, and many others. 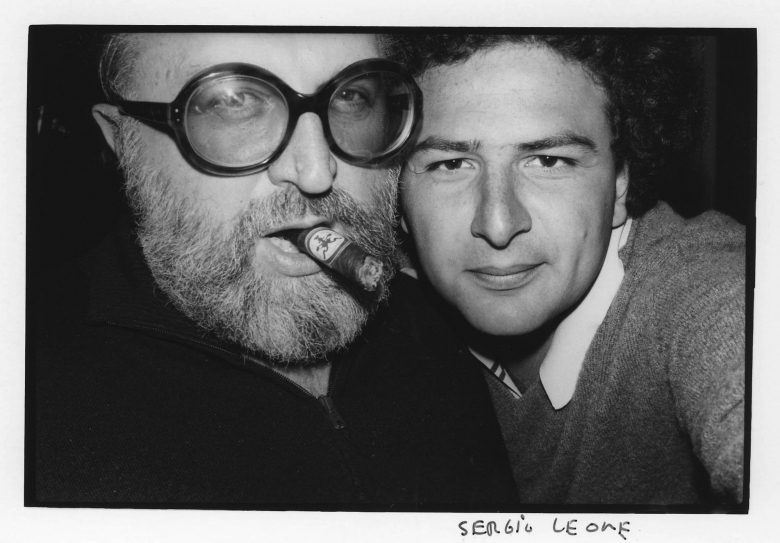 Selected shows: Light Gallery, New York (1980), A Short Visit to Planet Earth, Gagosian Gallery, New York (1991), Pigozzi and the Paparazzi, Helmut Newton Foundation, Berlin (2008), Rencontres d’Arles festival, France (2010), Johnny Stop!, Gagosian Gallery, New York (2010); Colette, Paris (2010); SEM-ART Gallery, Monaco (2012), Pigozzi, STOP! 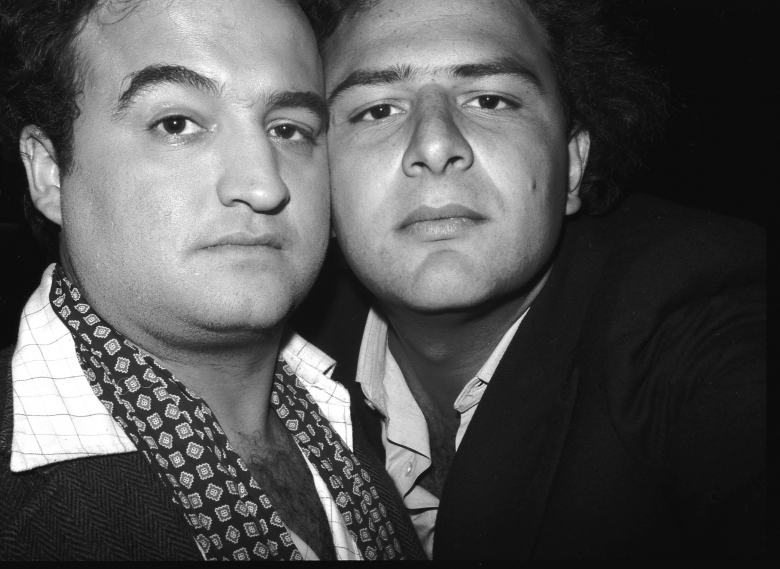 You're too close, Multimedia Art Museum, Moscow (2011), Unseen International Art Fair, Galerie Alex Daniels-REFLEX, Amsterdam (2012), Johnny's Diary, Galerie du Jour, Agnès B, Paris (2013; Photographs featured in a film short directed by Brett Ratner for Vanity Fair’s 100th Anniversary (2013); My World, Ullens Center for Contemporary Art, Beijing (2014); Johnny's Pool, Gagosian Gallery, New York (2016); The Baker Museum, Naples, Florida (2016); Galerie Gmurzynska, St. Moritz, Switzerland (2017); Helmut Newton Foundation, Berlin, Germany (2017). 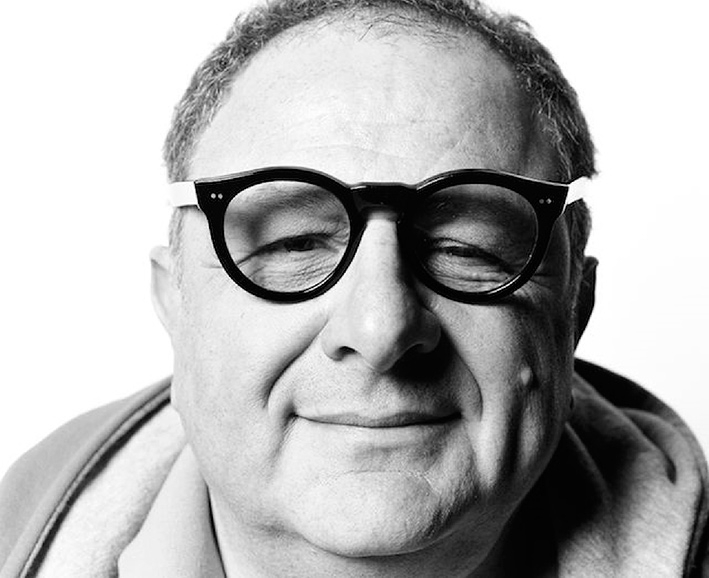 JEAN PIGOZZI born in Paris 1952, with parents from Turin, Italy, studied at Harvard University, before he worked for Gaumont Film Company and 20th Century Fox. 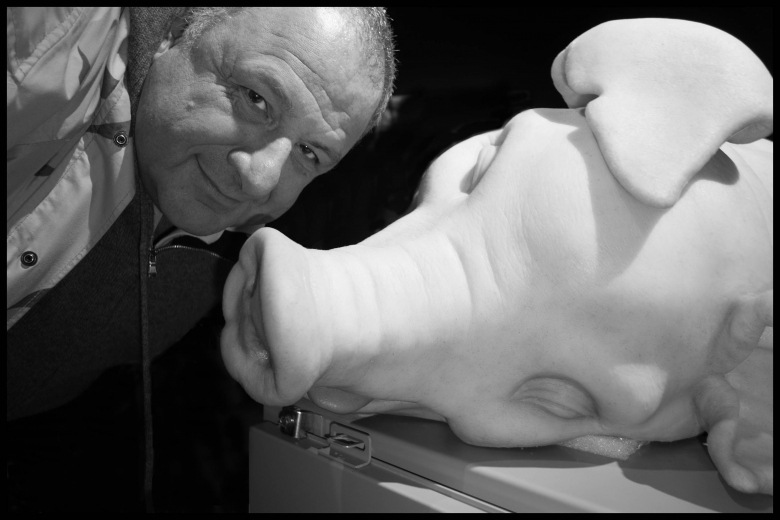 Pigozzi is a businessman, art collector, philanthropist and photographer. 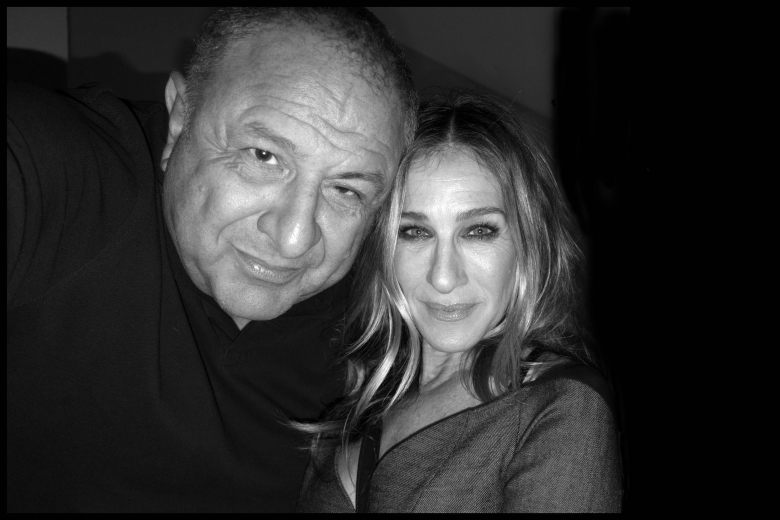 He owns the world’s largest personal collection of contemporary art from sub-Saharan Africa (www.caacart.com). 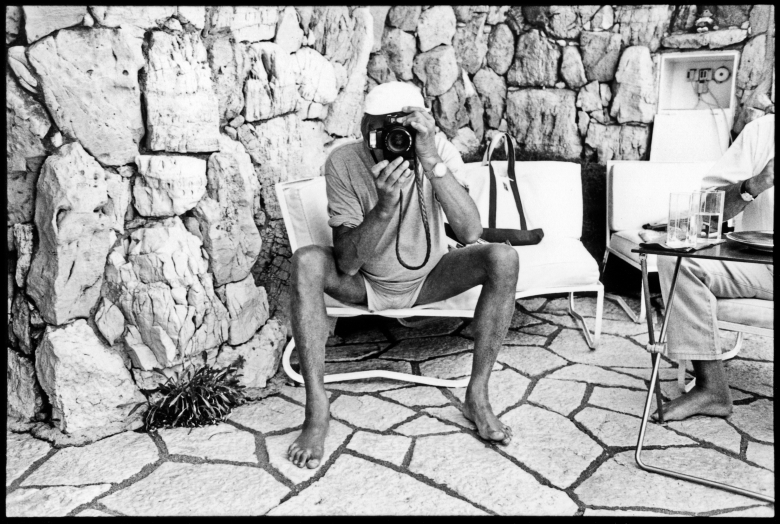 His first museum show took place in 1974 at the Musée d’Art Moderne in Paris. 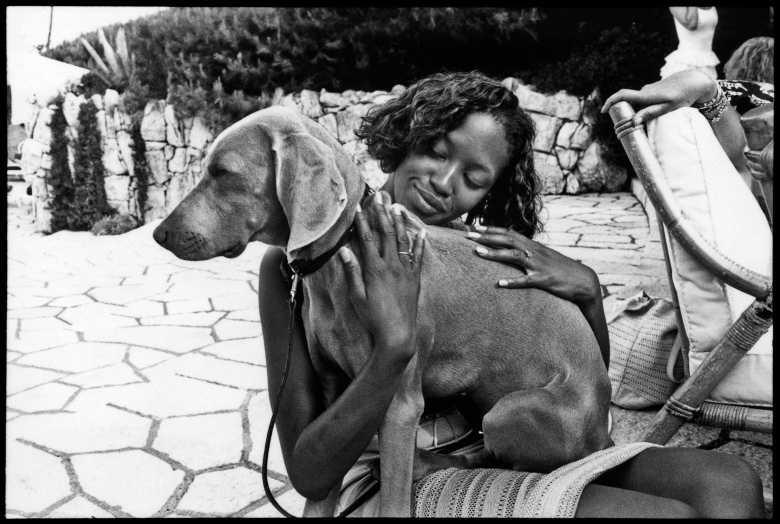 Pigozzi lives in Paris, Antibes, London, New York, Geneva and Panama.